Spotlight Awards 2019: Will You Accept The Mission? 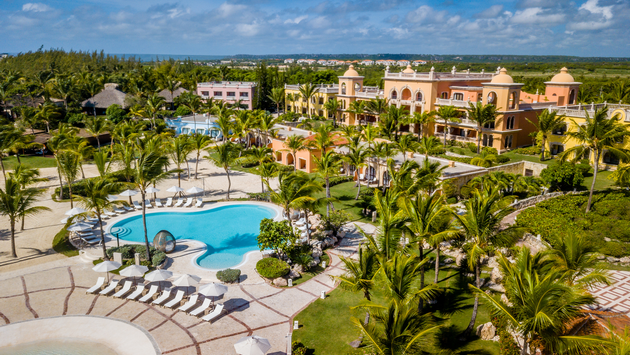 The location details of the 2019 Playa Hotels & Resorts 3rd Annual Spotlight Awards have been revealed. Will you be granted the license to travel for January 10-13, 2019 at Sanctuary Cap Cana? There’s still time to find yourself in the “Spotlight”. All you have to do is transform yourself from Travel Agent to Secret Agent. Your mission, if you choose to accept, is to report your bookings for a chance to attend. — Location, location, location! Be one of the first to experience the newly transformed Sanctuary Cap Cana situated on the coveted eastern tip of the Dominican Republic. — Get an exclusive sneak peek of Hyatt Zilara and Hyatt Ziva Cap Cana. — VIP Treatment! After all, it is an awards weekend! — Speaking of awards weekend, there are no classroom sessions here! Just a lot of fun in the sun! Ask anyone who joined us in Puerto Vallarta last year. — Experience Playa’s all-inclusive luxury firsthand. There’s no better way to know a product than to see it yourself! — It’s also an amazing chance to spend a few days with Playa’s Executive Team members. Talk shop or the latest football scores, it’s your choice. — Theme nights! Pack your hair picks and slouch socks, we’re taking it back to the 80s. — Multi-course dinner and gala celebration to honor this year’s top agents and celebrate the successes of the last 12 months. There are a plethora of different award categories that are presented to our top producers, including a Social Media Award. Don’t forget, there is a minimum of 250 room nights required, so the sooner you submit your bookings, the better.